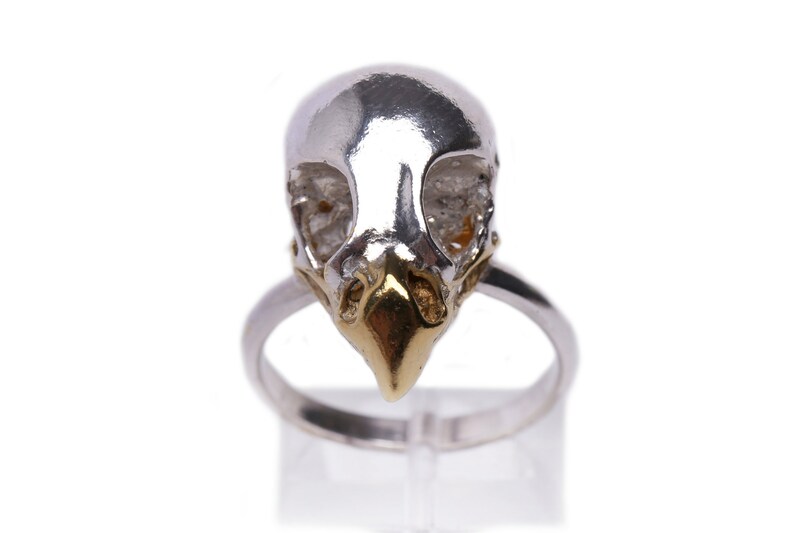 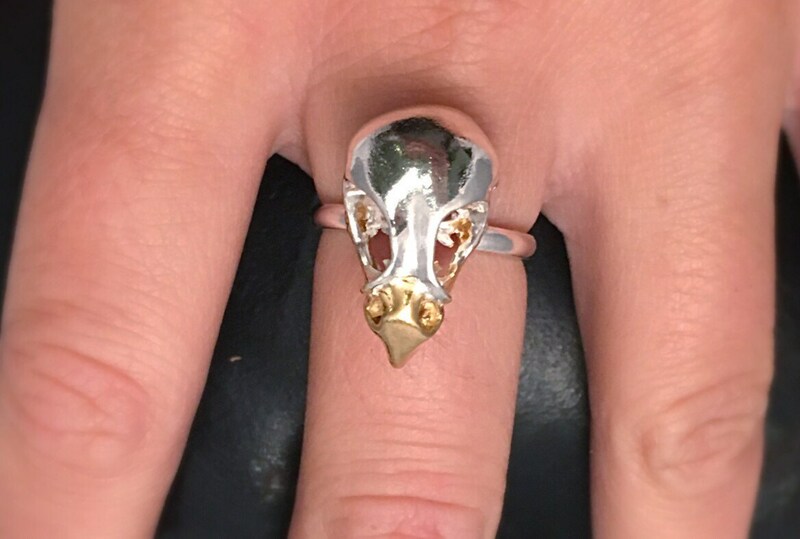 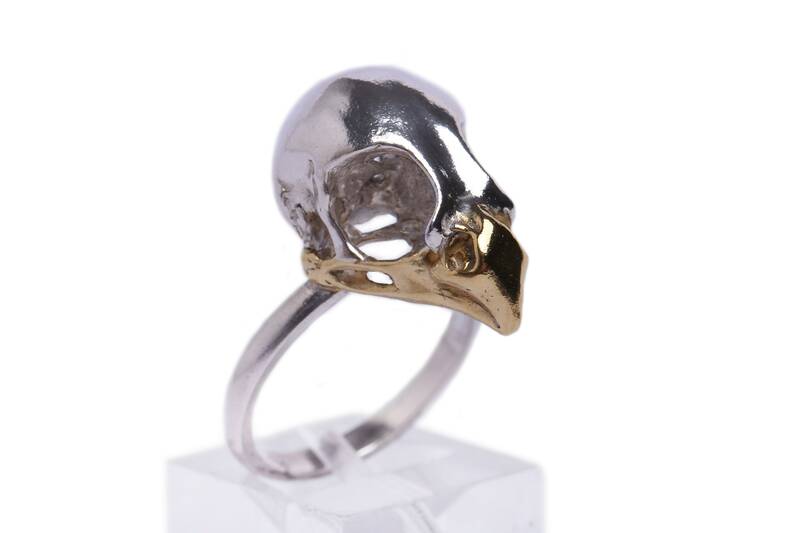 The skull is cast from a real bird of prey skull, which makes this ring unique. 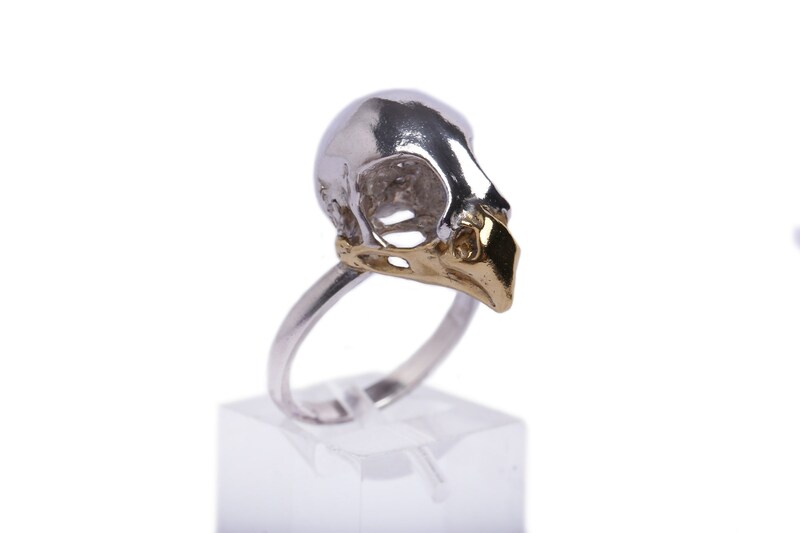 The skull is 2.17 cm long and 1.3 cm wide. 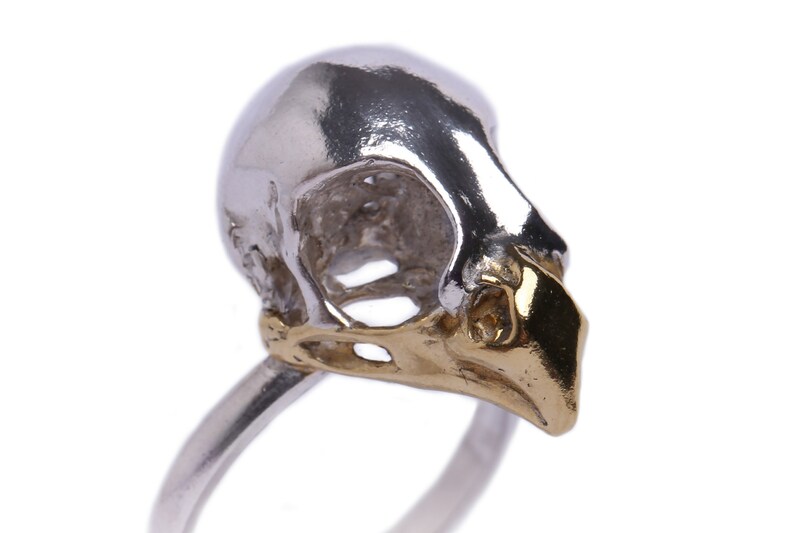 The skull and ring shank is made from sterling silver and the beak has been plated in 24ct yellow gold.